More than Ebola or ISIS (Da3ech), the Past would become “the Lash with which Yesterday flogs Tomorrow”! 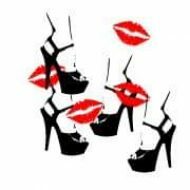 Posted byRed Lips High Heels	 November 7, 2014 Leave a comment on More than Ebola or ISIS (Da3ech), the Past would become “the Lash with which Yesterday flogs Tomorrow”! 30% of students portrayed peace as the elimination, deportation or destruction of the ‘other’, perceived as an enemy. During one of the art workshops, a student drew a map of Lebanon in which he indicated with an arrow and a caption “Palestinians and Syrians back to their country” while other ones indicated “Israel to the sea”. According to this student, peace could not be achieved in the presence of these foreign elements, but only with their elimination or deportation. Another student argued: “Two people with their own different beliefs and perspectives concerning life, and life goals, can never unify and become one in a same country, especially if one people dominate the other by the use of force (i.e. Muslims and Christians)”. A student drew all of the major political leaders and warlords looking down on Lebanon from the clouds with halos above their head. When asked to explain his caricature, the student said he thought Lebanon could only have peace when all of them would be dead. 25% of students think peace will be implemented when sectarianism is abolished, or even religions. A student drew a coffin in which a cross, a moon crescent and a Star of David were lying. The caption “R.I.P” was engraved on the coffin. “Rest in Peace” has a double meaning; also signifying people can also finally live in peace through the “death” of religion. Another student drew two separate identical boxes. In one of the boxes, she drew a Qur’an and a Bible. In the other box, she drew the Lebanese constitution. The student explained she thought both boxes were a gift from God, but that they needed to remain separate no matter what for peace to be achieved. 45% of students had positive attitudes toward others. Positive war memories were being shared in the classroom, especially stories of interreligious/inter-sectarian dialogue and conviviality. A Druze student recounted the story of her family who was able to pass through various checkpoints with the help of their childhood Christian friends to access a hospital during the Israeli invasion of Beirut in 1982. A student argued that peace comes with “the acceptance of the fact that I am a rock among many other rocks, here to stay, but nonetheless working in harmony with other rocks to allow the structure to stand”. One of the students drew a musical key with the caption “we are all part of the symphony!”. Another student used a famous juice ad slogan. He drew a carton can of juice, and then added all the different denominations which form Lebanon as if they were the main ingredients, with the slogan “There is a little bit of Lebanon in all fruits!”. 40% of the 500 students were not able to tell stories of the past. Many of these students’ parents were not affiliated to political parties, or they were ex-militia who never raised the war subject at home. Still, some were seeking ways to cope with the memory of past violence in order not to repeat it. According to one student: “If parents do not talk about the past, it does not mean that they did not communicate to their children a chronic fear, even if the original threat does not exist anymore. This fear leads to a culture of silence and makes people unable to handle any new conflict”. Many of these students living in a culture of silence at home were interested in digging into the past, trying to extract acknowledgement of wrongdoings and recognition of their identities. Others chose to rally with determined collective narratives – political parties’, sectarian narratives -, believing that they are the victims of ‘the other side’, that their actions are morally imperative toward the other side, that their dispositions are ‘moderate’ and they are willing to ‘sacrifice’ themselves for the sake of the nation, unlike ‘the other side’. There were also students who preferred to follow the ‘blank page’ approach, believing the prospects of ending conflict were bleak, blaming the media, the political leaders, foreign powers and other elements for Lebanon’s misfortune and the improbability of an end to conflict. A student wrote “To be Lebanese, in my opinion, is to be in a constant state of wait. Lebanon is a project, nothing more, nothing less.” A Lebanese-born American student noted: “Do I believe my generation will be the one to finally live in peace? No, I do not. They all say the right things, advocate a homogeneous society, and speak of togetherness, but when it comes down to concrete actions, I believe most would side with their religion and-or political party in a time of conflict”. As part of an exercise where students were asked to define what it means to be Lebanese, a student wrote “To live here with my family with my minimum basic rights.” This disturbing thought reflects the student’s hopelessness through their acceptance of a life in sub-optimal conditions, as well as an inherent sense of pessimism in their ability to change Lebanon’s situation, and a lack of belief in their own agency. Young people born years after the initial traumatizing events become part of the traumatic process. New generations inherit trauma from the previous generations. 60% of students told stories about how their parents and neighbors experienced physical war in the 1970s and 1980s. One of the students recounted a childhood memory: “My father taught me the basics of shooting guns when I was a child. He never clearly explained why he thought it was important for me to be trained, until the events of May 7, 2008 (when inter-sectarian clashes in Beirut occurred). He told me then ‘Do you see why I taught you how to fight?’”. A large part of this generation inherited the experience of violence as still living memory, molding and converting this remembrance into some form of fixed collective memory or historical knowledge. It is in this crucial interval that the cycles of revenge can be perpetuated or interrupted. The moment of transmission is important to dwell on, because it is a moment of genuine hope and possibility, but also, a moment of real danger, with the past posing a threat to present and future stability. This short article presents a summary of the results of this qualitative research. Other details were displayed in Oxford (2010) and in Balamand (2014). For more information, contact Dr. Pamela Chrabieh. Thank you for sharing the results, even if quite alarming. And the last few days in Lebanon did not help, especially that the Parliament is extending itself for the second time and Lebanese youth is not doing anything about it. Hello Serena, thank you for your comment. 3aybichum 3ala hal 7ekkem wa 3aybichum 3ala hal cha3eb yalle byesttehal 7ekkemo. wa 3aybechum 3ala hal chabeb yalle ba3ed ma 3emlo thawreton. akid el mady byel7a2 el mustaqbal wa byedefno. and both do fuel wars! Thank you all for your comments and continuous support for this movement.